The dome located on a plateau outside of Chisht-e-Sharif, a twelfth-century religious centre that gave its name to the Chishtiyya order of Sufism. 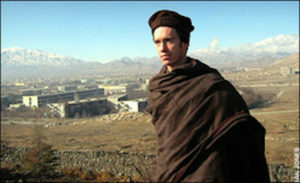 In the winter of 2002 Rory Stewart made the journey across Afghanistan from Herat to Kabul. 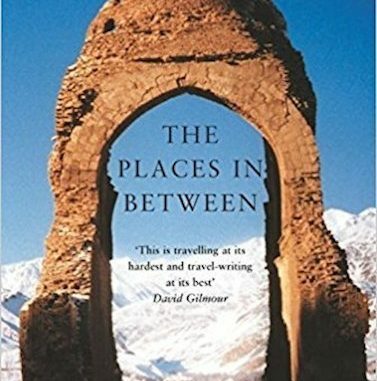 Having previously walked across Pakistan, India and Nepal, he says in his book, ‘Afghanistan was the missing section of my walk, the place in-between the deserts and the Himalayas, between Persian, Hellenic and Hindu culture, between Islam and Buddhism, between mystical and militant Islam. I wanted to see where these two cultures merged into one’. 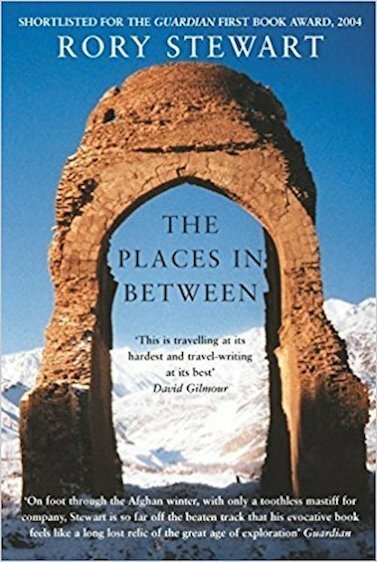 His intention was to follow in the footsteps of Babur, the first Emperor of Mughal India, but in mid-winter, he was warned, there would be 3 metres of snow in the high passes, the Taliban had fallen only a year before and a new administration was barely in place. “A cold wind hit me as I turned from Maidan Shahr onto the main Ghazni-Kabul road. The sky was overcast and drab, gravel and earth stretched on either side. Numbers and letters in scarlet paint marked minefields along the way. Every ten minutes or so a truck passed. I had often been uncomfortable in villages because of the filthy, crowded cold rooms, the illiterate men, the limited conversation. The more tired and bruised I was the more I wanted to get away from such but that night in the barracks had been a moment of transformation. There was nothing pompous in the way the men had spoken to me. I had savoured the hot rice, the firm floor, the shelter from the wind and the companionship. I had felt how proud the men were of what they could provide and how lucky I was to share their space. They treated me as though I belonged and I had felt that I did. Whatever I experienced when walking would never approach the hardness of daily life in a village. But I had felt I no longer needed to explain myself to my hosts-that I was at last entitled to sit alongside them and share their food.- and I loved that night and those men for it. Almost every morning, regrets and anxieties had run through my mind like a cheap tune: often repeated, revealing nothing. But as I kept moving, no thoughts came. Instead I became aware of the landscape as I once had in the Indian Himalayas. Every element around me seemed sharper, the colours more intense. I stared, expecting the effect to fade, but the objects only continued to develop in reality and presence. I was suddenly afraid, uncertain I could sustain this vision.